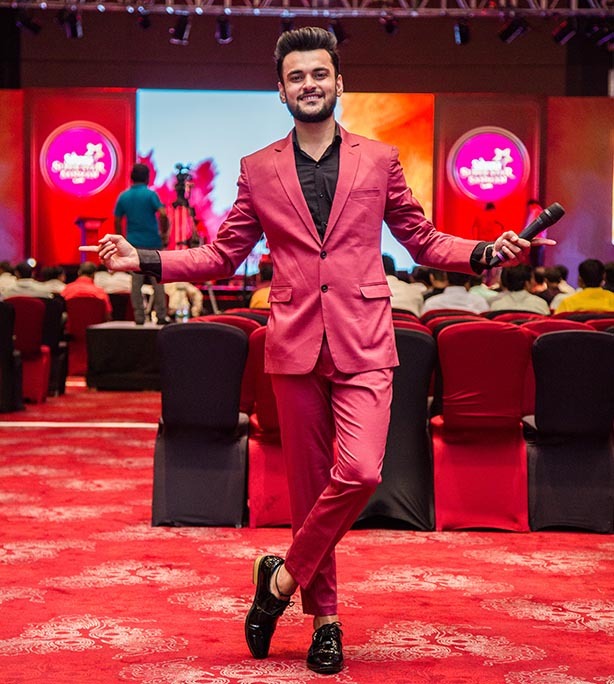 Jay Karmani is a Mumbai/Pune based award-winning TV and event anchor/presenter. He has an enthusiastic, lively personality that is filled with a fine mix of Confidence, Wit, Warmth and Talent. His electrifying spirit coupled with experience gets him a natural option for various national and international events and conferences. A born performer, Jay has hosted over 1000 shows around the world in only a few years. 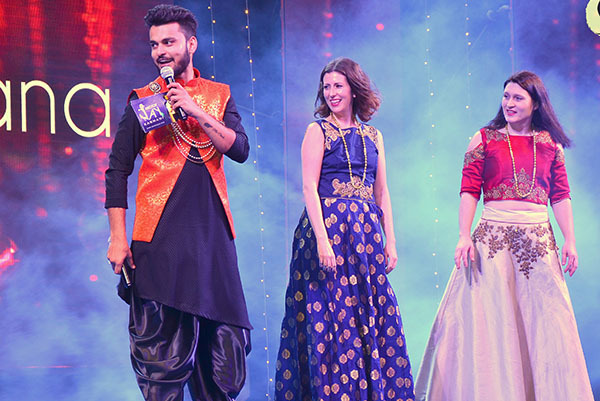 His kinship with the microphone and camera along with his innate charm and grace, make him a huge hit along the stage, whether it be for hosting a show or setting the ramp on fire with his modelling skills. 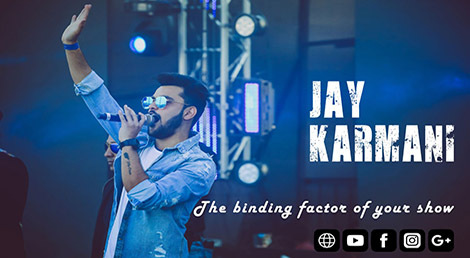 Anchor Jay Karmani is a blend of Freshness in creativity coupled with a stupendous reservoir of Energy. I had the opportunity to have him host Continuum’s first Family Day event in Pune and it was actually more than 200% that was expected. Just when you know that the last minute nerves are breaking down, all you got to do is to look towards Jay and everything is taken care of. He holds tremendous knowledge of vocabulary and needless to say keeps the entire crowd engaged – be it infants, kids, teenagers, parents, stakeholders, foreign delegates and anyone else whom you could list in. Wishing him all the best in all his endeavours and looking forward to him hosting our next event !!! Jay is a very lively, fresh and energetic anchor. The way he comes up with excellent new ideas of presenting a content always baffles me. Makes the whole environment very exciting and cheerful. 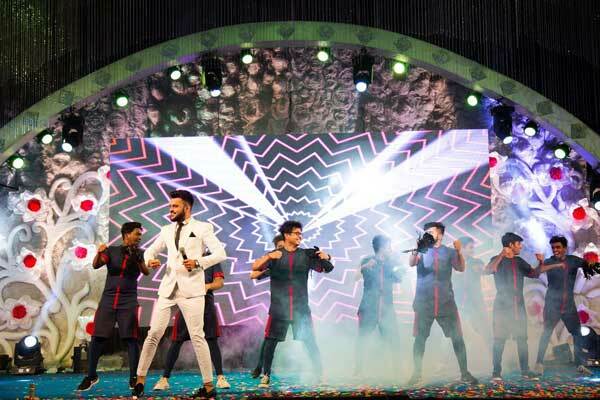 Been to various shows of his, clicking photos and I certainly admire the range of programs he can host, may it be wedding, corporate events, and any other stage performance you can think of. Definitely one of fastest growing and trending anchors that I've seen. Cheers! A Great Entertainer!!!! Super Energetic!!! Ensured complete Crowd Participation!!! Had a Wonderful Experience working with him... ! Looking forward working with him again in Future!! Jay has entertained the crowd by introducing lively games and making it an interactive forum. Absolutely proud to engage him in our Corporate event. I Really Appreciate all your help & effort to ensure clients at the event was satisfied with every step of the process planned. You have done a great job, and I truly appreciate your contributions! Looking forward Working with you again near future. 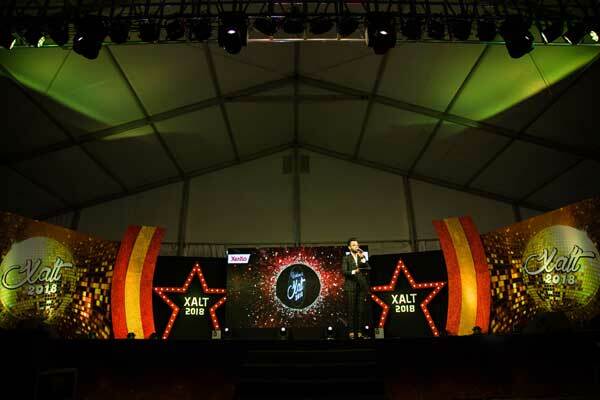 Last week Jay Karmani hosted my company event in Chennai. He did great job specially team building activities were too good. Everyone enjoyed a lot. Thanks Jay Karmani. Definitely we will do future events with you. We have conducted multiple events with Jay and has never disappointed. Has always exceed expectations and always kept the crowed engaged.